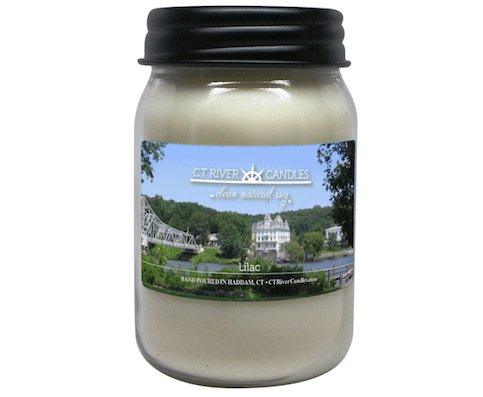 CT River Candles was inspired by the beauty of the Connecticut River and a personal love of creating handmade products. We are a CT Candle Company and our Hand Poured Soy Candles are made in small batches using 100% natural soy wax. Our soy wax does not contain any GMO material. Our scents are formulated for soy wax and are made from a combination of fragrance and essentials oils designed to provide the maximum scent possible. Our customers often comment on how strongly scented our soy candles are, how wonderful they smell and what great customer service we provide. Soy wax is all natural and renewable unlike paraffin. Soy Candles burn clean and provide a long lasting scent. Like our Facebook Page or signup for our Newsletter to receive the latest updates on Coupon Codes and Sale Announcements. We offer a large variety of Scented Soy Candles, such as floral, bakery, spices, harvest, fruits and holiday. Check out our Scent List for a complete list of fragrances along with descriptions. Our Mason, Preserver and Mini Jar Soy Candles can be requested dyed or undyed by selecting the appropriate option when adding them to your cart. There is also an option to select a Black or Pewter Primitive Lid. Our Spa Tumbler Jars are always left undyed however if you want a Pink Spa Candle, we can make it. Just add a note during checkout. The CT River photographs capture the essence of this truly amazing natural resource and also give our Mason, Preserver and Mini Jar Soy Candles that unique edge when you're looking for a special gift for yourself or someone else. Browse through the different jar styles and customize the perfect look for your decor. Please Note: Our products are available for sale on our website or at these Retail Locations. Sign up for a Retailer Account on the My Account Page if you are interested in Wholesale Soy Candles. We are also happy to provide information for Fundraising Events, Bridal Showers, Baby Showers or Soy Candle Favors for other events. We have a presence on all Social Media platforms and links to our pages can be found in the footer on this page.